Having been accredited by some of the world’s most prestigious international accreditation organisations, we pride ourselves on being members of these groups supporting international education and global cooperation. Founded in 1885, the New England Association of Schools and Colleges (NEASC) is an advocate of establishing and maintaining high standards for all levels of education from PreKindergarten to doctoral level. 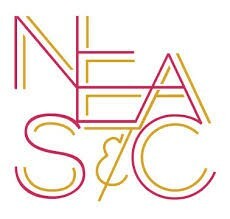 The NEASC is the oldest accrediting association in the United States. The Principals’ Training Center (PTC) for International School Leadership (PTC) was founded in 1989 to meet the professional development needs of leaders in international schools. Over 2500 international educators have participated in PTC training programmes. Founded in 1978, the International Schools’ Theatre Association (ISTA) is an organisation dedicated to the arts. They provide high quality theatre experiences, developing creative learning and internationalism. Diversity and collaboration, celebration and play, friendship and collegiality are at the forefront of ISTA values. The Council of International Schools (CIS) is a global, non-profit, membership organization that defines standards and supports the continuous improvement of international education through an integrated portfolio of services. AIS is the first international school in the world to have been accredited five times. The first CIS accreditation was achieved in 1971. Since then, AIS has been awarded this prestigious accreditation every ten years. 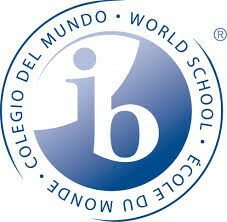 AIS is an IB World School. AIS offers the PYP, MYP, and DP of the International Baccalaureate Programme (IBP), and was the 51st school in the world to offer the IB Diploma Programme. Founded in 1965, the European Council of International Schools (ECIS) is a global membership organisation that provides professional development opportunities to its members. Members are comprised of international schools, individuals and educational organisations. The Northwest European Council of International Schools (NECIS) sports council provides opportunities for international schools located in Northwestern Europe to come together during specific tournaments on a competitive basis. Each school works toward a common aim to achieve an efficient and well-balanced programme that promotes healthy competition, sportsmanship and full participation. The Duke of Edinburgh’s International Award (DEIA) is the world’s leading youth achievement award, operating in over 140 countries and territories around the globe. The names of individual operating authorities often differ from nation to nation, but the award and its unique reputation with employers, policy makers and leaders in society remain unchanged and consistent. The WIDA International School Consortium is a global network of more than 400 schools in 80 countries using WIDA assessments and resources to provide inclusive education for multilingual students. WIDA’s Can Do philosophy guides educators to focus on the strengths and abilities of linguistically diverse students.